First of all, let me introduce myself and what I do here. 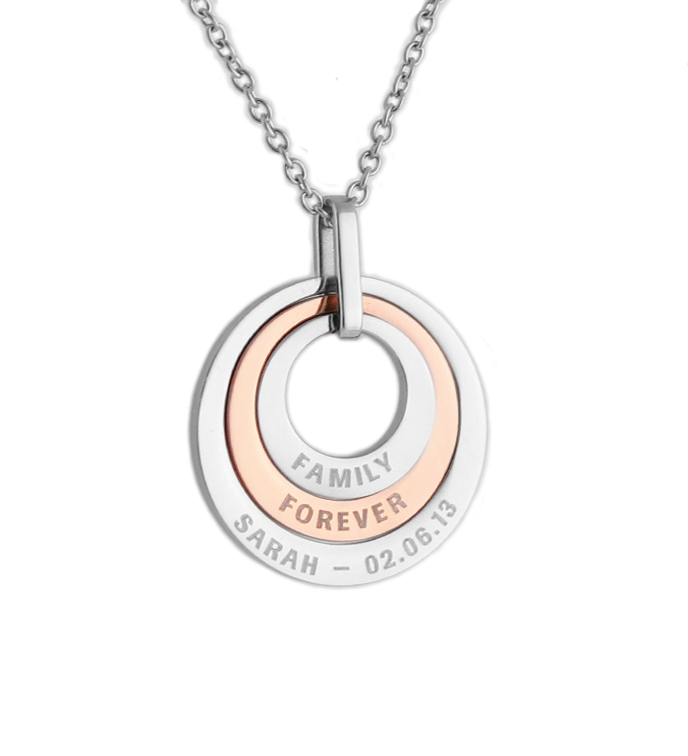 My Personalised Jewellery was born out of passion for designing sentimental keepsakes and wanting to personalised jewellery that tells the story of your life. I make every effort to source my materials from Australian manufacturers to make your own sentimental piece. My passion is to tell your story with each piece of our personalised jewellery for you keep it near to your heart. Most of the items are custom made to order, therefore I take time and care to custom made each and every piece of the jewellery just for you. I don’t mass produce. I started out with hand stamping nature to create that organic look of artisan jewellery where I do not use any system generated stamping. While this achieve that authentic artisan look, however it may not always be a perfect 100% alignment with less mistakes in the process. There are no complaints of such in regards of the hand stamping as a lot really love the nature of the look. In the recent year, with each return customer and increase of orders, I have decided to create a whole new range of engraving inscription method. This simple engraving method leaves a mark on the pieces which create that classic and simple look of inscription in your pieces. The inscription will be aligned straight and lesser mistake too. This allows for a shorter processing time to make your pieces. There are a few ways to inscribe the letters or numbers on metals and they include engravings or stampings. The workmanship of engravings and stampings are achieved either by machine printed / stamping or hand engraved / hand stamped. Handstamping has been so popular ever since it all started out as people most preferred the organic look of each letter inscribed on the metal. Hand stamping is the art of hammering each metal letter or number on the metals to create a deep impression for the unique organic look of your pieces. This technique adds more care and personal touches to your pieces, and usually the handstamped items are organic pieces of artisan work. This creates a unique piece because there will be no two pieces alike. If you prefer the deepest impression of letters / numbers and unique look pieces, this method would be your choice. Usually, this method allows for the letters / numbers to be darkened and it will last a little bit longer than other method of stamping / engraving due to the deeper impression that allows the paint to collect more. Hand engraving method allows a slightly deeper engraving into the metal and this requires care and skill to make, each letter is engraved as the preferred font style. This method leaves a deeper impression compared to machine engraving because the engraver can control how deep the impression goes whilst engraving free-hand. This creates a unique artisan piece for you. If you prefer a well-aligned letters and numbers, then a machine stamping or machine engraving would be your best choice. Machine stamping precision uses a machine to stamp each letter on to your pieces. This method allows a straight alignment for the letters & numbers, and leaves impression of each machine stamping the same. However, sometimes the indentation of all the letters & numbers may not be as deep as the hand stamping. Then they are darkened just like the handstamping process. This method also uses a machine-printing device to engrave letters and numbers on to your pieces. This method allows a straight alignment of the engraved letters & numbers and is the least indent comparing to the other methods. Therefore, the engravings are often left natural. Remember, all darkened letters / numbers will eventually wears / fades off depending to how it’s actively worn or how much exposure to chemicals. Just like any other paintwork at home. Read about darkening letters here. If you are looking for straight alignment and precision stamping then machine work impression should be your choice. If you are looking for organic & unique artisan handiwork pieces, then hand stamping or hand engraving should be your choice. This entry was posted in News and tagged About MPJ.